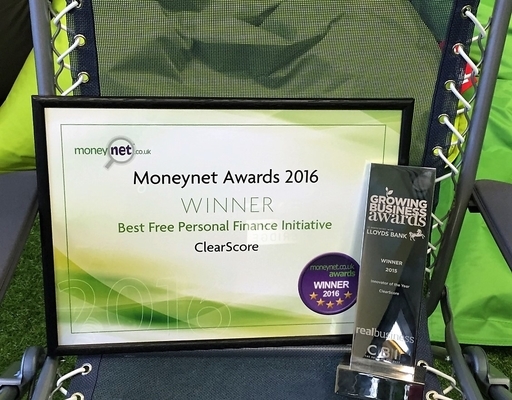 We’re thrilled to announce that ClearScore has been named the Best Free Personal Finance Initiative at this year’s Moneynet Personal Finance Awards. It’s fantastic to be recognised as the top way for Brits to take control of their finances. In awarding the winners Andrew Hagger, chair of the Moneynet judging panel, commented how this year’s champions “have stood out in what is a crowded market and have delivered excellent value for the consumer”. We are proud to have disrupted the credit scoring industry and establish ourselves as the vanguard in providing exceptional service and beautiful design in the financial information sector. The Moneynet Awards are run by Moneynet, one of the longest running personal finance information sites in the UK. The publication, with the co-operation of the banks and financial services companies, makes its readers aware of the most innovative and market leading products across the full personal finance spectrum including current accounts, savings, personal loans, credit cards and mortgages. Winning an award within the innovation category is particularly important to us, as this is something we pride ourselves on. Innovation is at the heart of our business, and we are constantly working on new features and additions to our site. Other prestigious winners to be recognised in Moneynet’s fifth annual awards include First Direct, Barclaycard and Nationwide Building Society. We’re excited to hang our prized certificate next to our Growing Business award for Innovator of the Year we won at the end of 2015 – time for a bigger trophy cabinet!